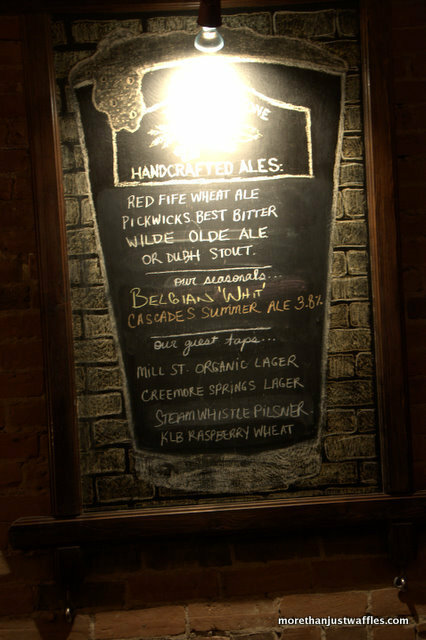 Reasons to go to the Olde Stone: beer brewed on-site. Take a look downstairs (near the men’s bathroom) to see the brewing facilities. 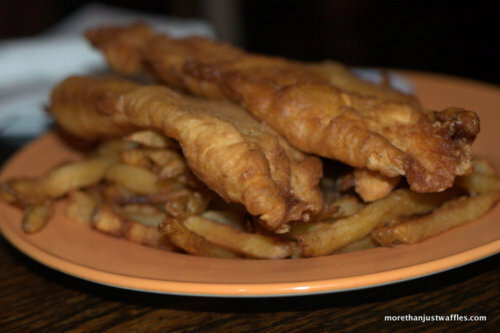 Freshly-battered fish & chips. I know from inside-information that they are fresh-cut daily from actual potatoes. The Olde Stone is one of my favourite casual pub/restaurants in Peterborough (located on George St. near Hunter). The menu features dishes from around the world as well as pub favourites. I’m a fan of the Nasi Goreng (a rice dish with fried plantains, chicken, shrimp and a bit of a kick), the quesadilla (especially if you like cilantro), and the bruschetta (packed with dill!). I would pass on the empanadas and the samosas.